Serendipity Software has been helping people produce dependable, consistent colours for over 20 years. 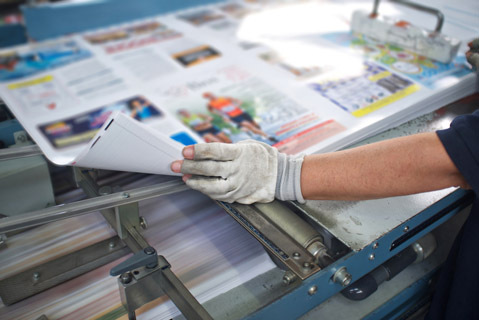 Our colour management and digital proofing software has supported design studios and photographers, the packaging and textile industries, newspaper publishers and commercial printers. We can do the same for you - your colour is our business. Canon imagePROGRAF TM-200 / TM-205 / TM-300 / TM-305, TM-5200 / TM-5205 / TM-5300 / TM-5305 printers now supported. EIZO CG279X, CG2730, CG2420 & CG319X monitors now supported. Whether you produce stunning photographs, spectacular posters, or eye catching t-shirts, we ensure the colours on your products are true to your vision. With a wealth of professional presets in our Media Catalogue, you can leave the heavy lifting to us. Whatever your industry, we produce rock solid colour proofs. Multiple spot colours, plate registration, high fidelity gradients, even details down to press dots and screening angles. Nothing escapes our proofing engine, which is pin-point accurate and blazingly fast. We do the hard work but never clog up your workflow. Whether I'm creating fine art exhibition prints in my studio, or serving forty-five photographers at my annual Orpheus Island residential workshop, or proofing for prepress publications, Megarip serves all my printing needs and has never failed to exceed my expectations. I simply can't imagine printing without it. Megarip's exemplary and perfectly grey balanced RGB linearisation is unique and incredibly effective, both in terms of efficiency and accuracy, but also for the incredible quality of my resulting full gamut RGB printer profiles."